A raid in Paris has yielded a link between the terrorist organisation Munathma and a revolutionary group called the FKA. British Intelligence officer George Collins is pressured from his section chief to make contact with Middle Eastern student Lydia Iyad, who knows members of the FKA at her university. Lydia feels conflicted about the idea of spying on her friends for Britain, especially with its bad reputation in the Middle East. George needs Lydia to make a decision and provide information. Will Lydia work with George or will she leave him out in the cold? ”Produced with elan, directed with deft and written by somebody in the know. The Dry Cleaner reminds us of the brave people that become covert human intelligence sources (CHISs) to keep us safe. A must watch for fans of this genre." 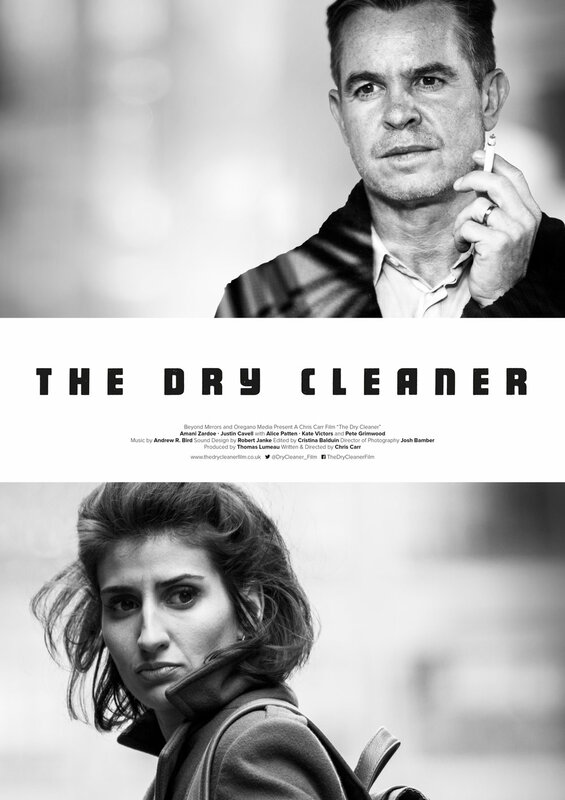 "The Dry Cleaner could be used by the security services as a training film on espionage. The tradecraft is brilliantly executed, and the sense of betrayal grabs you from the beginning. Carr has done a wonderful job of setting the tone for something that you learn early on in the world of intelligence, i.e., there are no friendly intelligence services." "The film shows excellent tradecraft. It depicts the difficulty of walking the line between cultivating and protecting a human being who is placing his/her trust in you, but also recruiting a source who is needed to provide key information. It also shows the importance of operational security. The counter surveillance scenes in the film are well done, in fact, there aren’t very many pop culture representations of SDRs that I can say are better than this"